As we're probably all aware by now, Twitter has become a key part of international political discourse. In a tacit acknowledgment of that role, the popular platform is now making a "dramatic" effort to make it easier to spot paid political ads. In a blog post today, Twitter described how it will soon start to label political ads, likely by adding a purple dot beside the account's name along with some text along the bottom reading "Promoted by" and a small purple square. Twitter originally labeled its political ads in purple when they first started appearing in 2011, but the indicator vanished over the years, likely owing to advertiser pressure. As for the ads themselves, Twitter will identify electioneering ads based on the US Federal Election Commission's guidelines, which define those ads as any that promote a specific candidate or party within 30 days of a primary election or within 60 days of a general one. 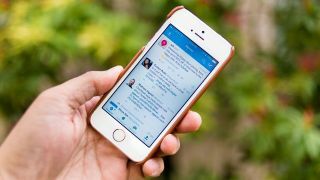 Within the next few weeks, Twitter users will also be able to visit a new "Advertising Transparency Center," which will let them see all ad campaigns currently running regardless of whether they're political or not. You'll also be able to see which ads are specifically targeting you. It's worth noting that none of the new measures do much to address "issue-based" ads, which played such a prominent role in starting the current national discussion of how extensive Russian meddling might have been in the 2016 US election. Twitter didn't ignore these types of ads, but said only that it was "committed to stricter policies and transparency around issues-based ads." It's currently not known what the specific nature of these "stricter policies" will be. The timing is significant, as the post and new measures come only a week before lawyers from Twitter, Facebook and Google are expected to appear before the US House and Senate Intelligence committees to discuss how Russians may have use the internet platforms to influence voters.